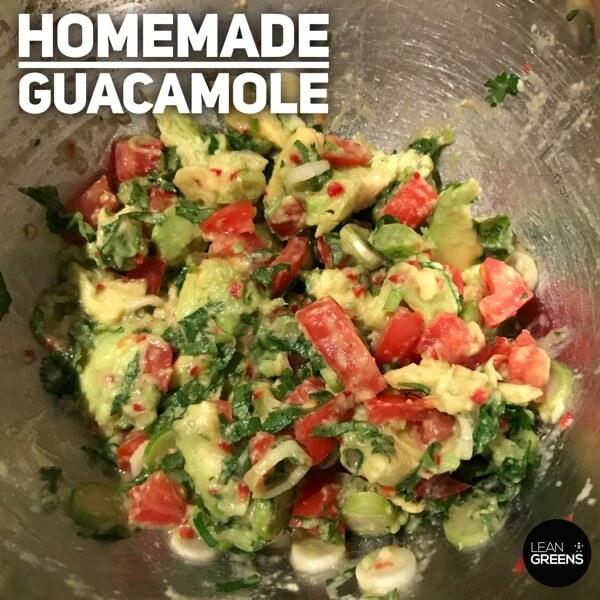 Upgraded Guacamole - What Goes In Homemade Guacamole? It’s Saturday. Maybe you’re entertaining guests this evening or maybe you’re just kicking back and you’re watching something on the telly with whatever you drink. So you decide to have guacamole. I used to buy guacamole from the supermarket, the fresh stuff, not tinned or from a jar stuff. But it is so easy to make yourself and it is so much better than anything you can buy. 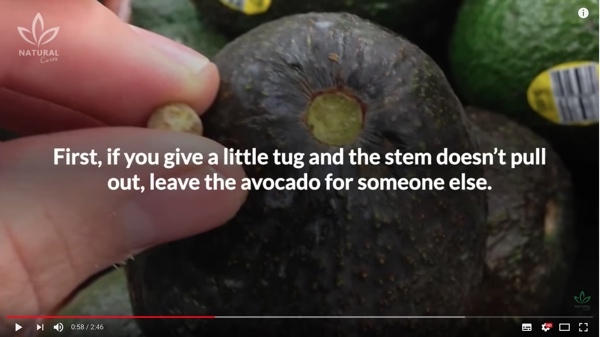 There are some methods to figure out whether a guacamole is ripe or not. Here's a cool video that show you. One thing I have found you can do with unripe avocado if you get one that’s not ripe, slice it up, wrap the avocado slices in streaky bacon and bake them in the oven and you get bacon avocado chips that you can then dip in garlic mayonnaise. But you probably don’t want to eat too much of that. In my homemade guacamole I simply use chopped tomato, I go quite heavy on the tomatoes, some fresh chilli. If you don’t have any fresh chilli, doesn’t mean you can’t do it. If you’ve got some garlic and pepper spice or ground dry chilies it does the job. Some recipes use red onion. I’m using spring onion because that’s what I had in the fridge and fresh coriander. 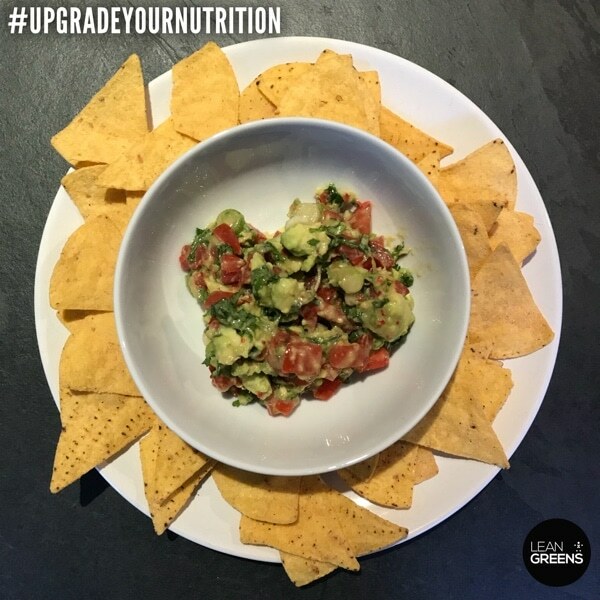 We mix it all up in a bowl, not mashing the avocado… more like smashing it :). Add then lime juice. That’s going to stop it from going weird and brown. If you give your lime a wee roll on a hard surface before you try to squeeze it, you’ll get a bit more juice out. Mix it up a bit more, a touch of ground sea salt to your taste. Then put that in the fridge. What do you do with chips and stuff? 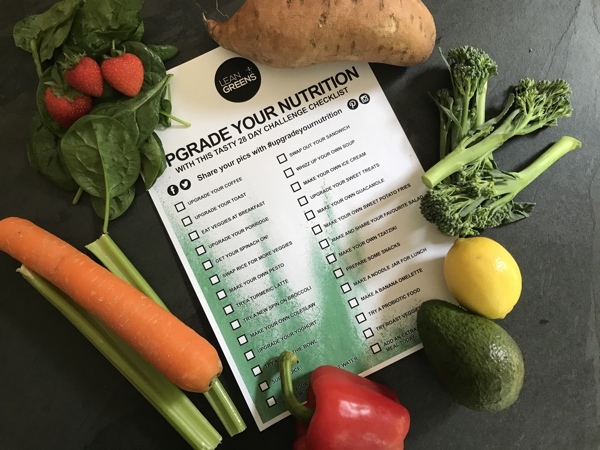 You could probably try and find a gluten-free or corn-free or hand-baked or some savoury healthy tortilla chip, but to be fair, if you want to eat tortilla chips, eat tortilla chips. Put something good on them though. Homemade guacamole, humus or tzatziki. It doesn’t really matter. 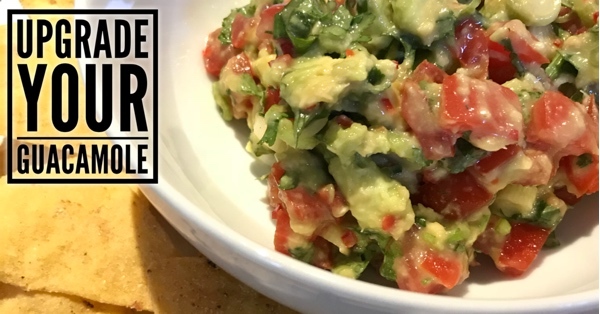 Enjoy your tortilla chips and your guacamole with friends.